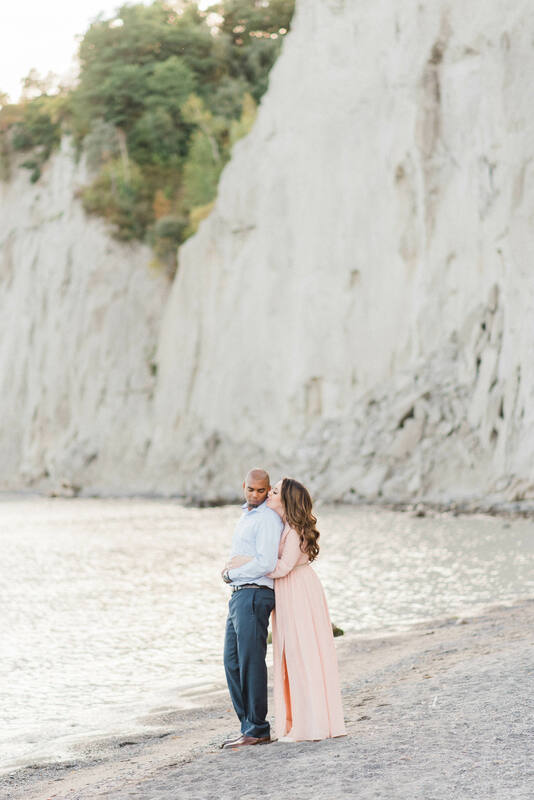 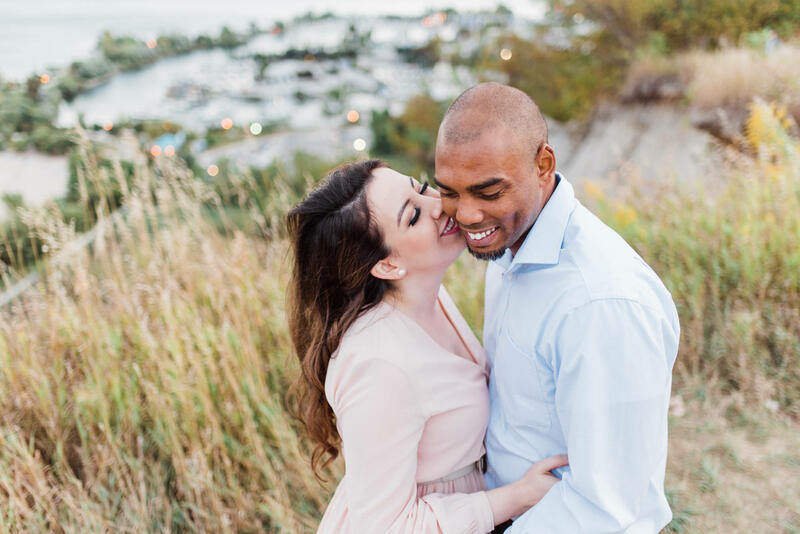 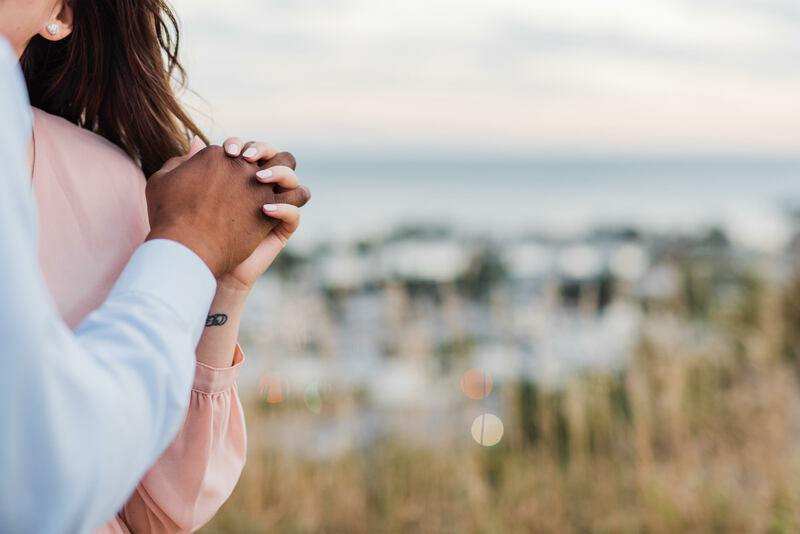 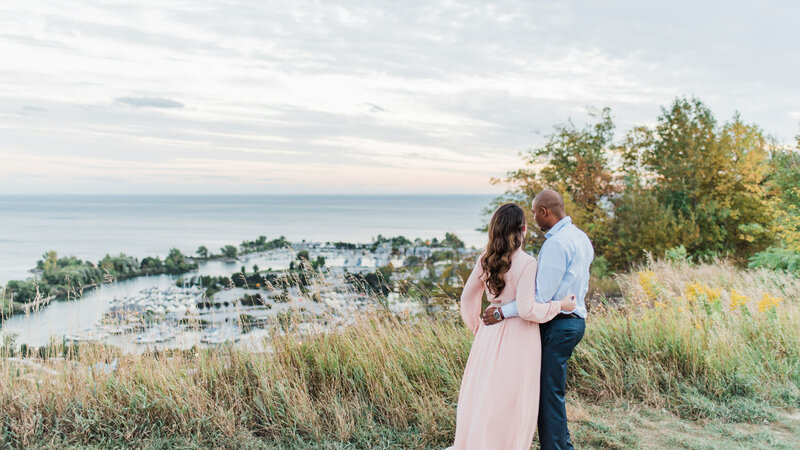 Scarborough Bluffs engagement shoots can be gorgeous and rustic, especially when paired with a beautiful flowing peach dress that matches the soft pink sunset. 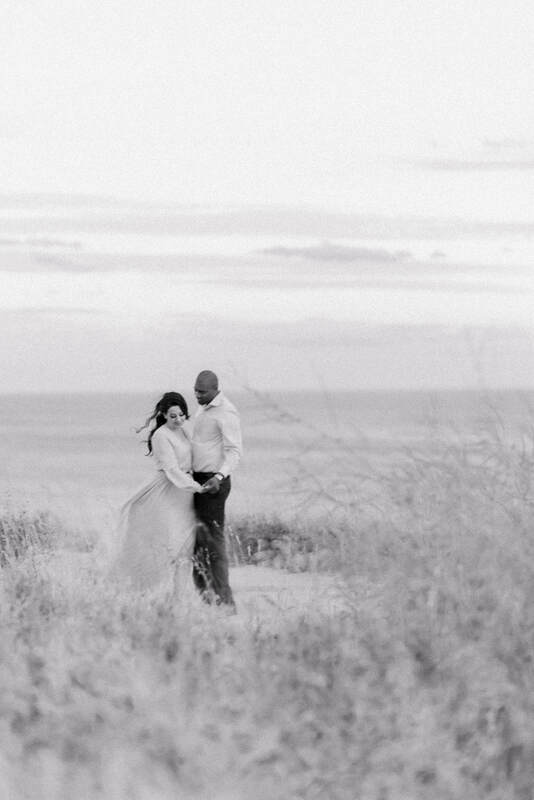 When you think of romantic summer evenings, this comes to mind! 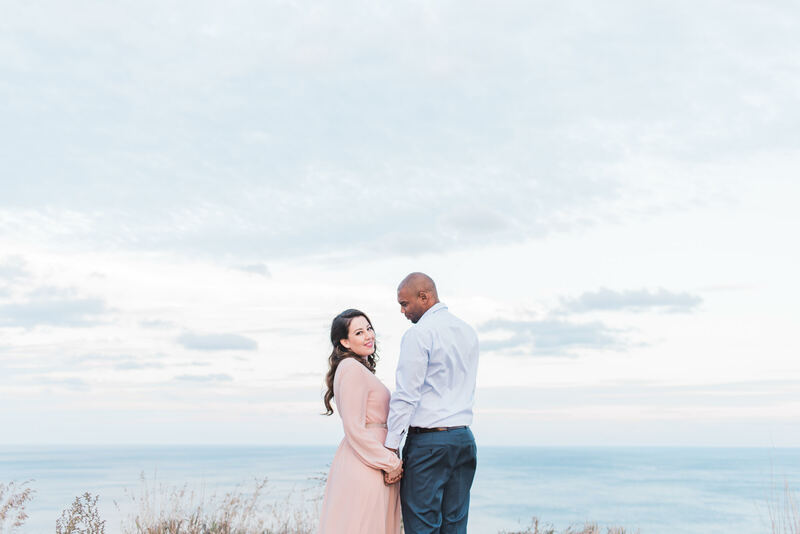 Cristina’s dress was absolutely divine! 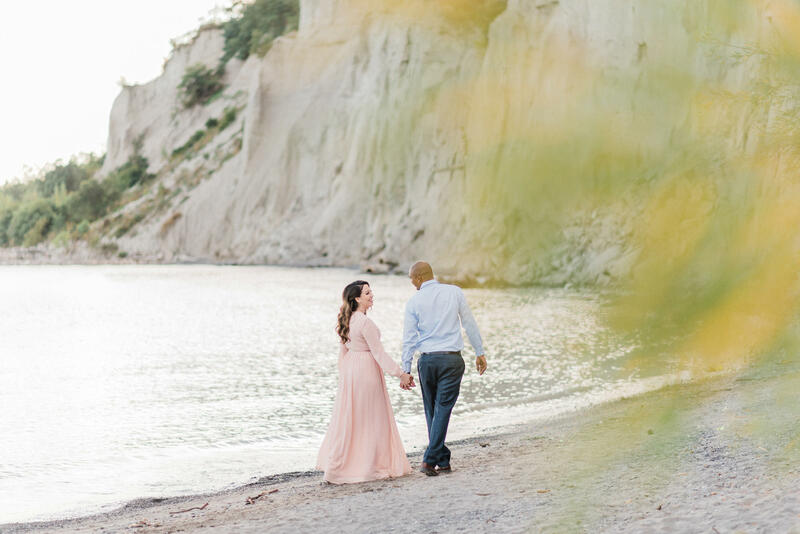 The soft summer breeze carried her dress so perfectly – she looked like a goddess! 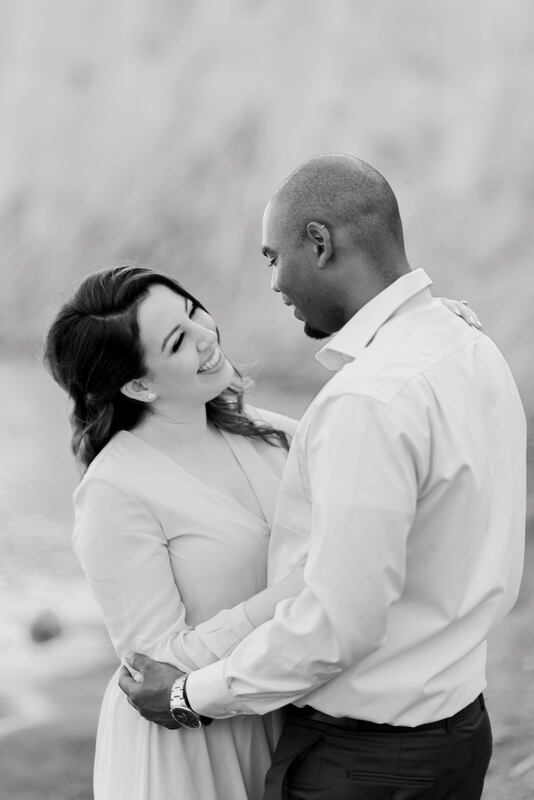 Clarence and Cristina both looked absolutely radiant, and happy, and in the moment. 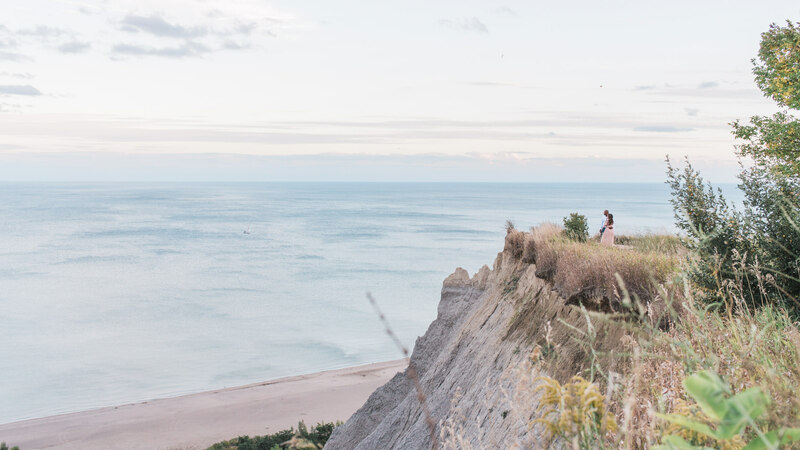 There is a reason the Scarborough Bluffs is so popular with Toronto wedding photographers. 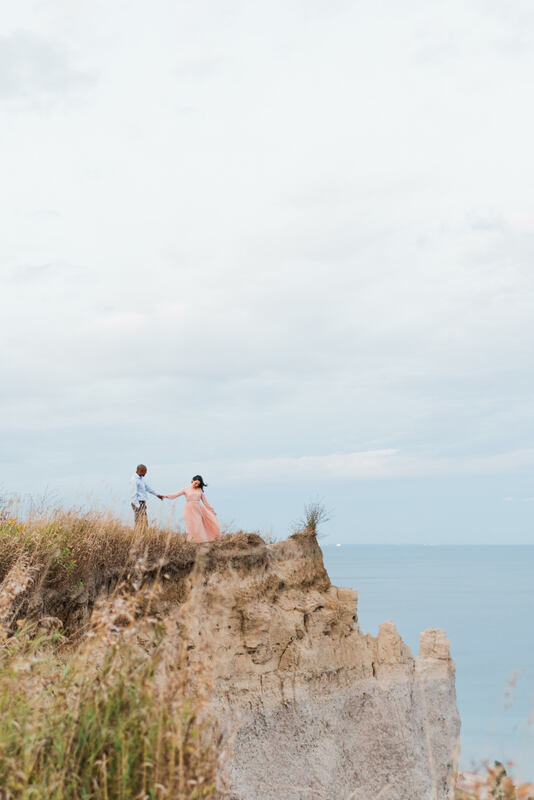 The grand landscape is surprisingly breathtaking, and it makes it seem like you are in another land all together! 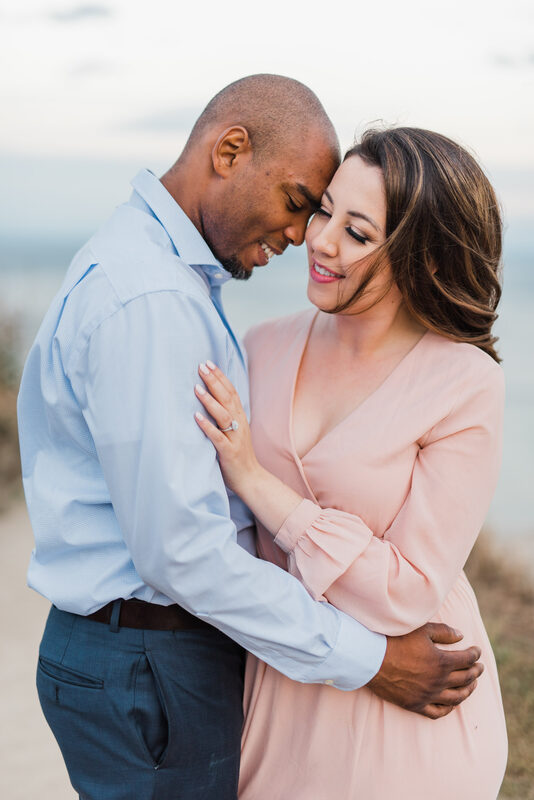 Wishing you two a lifetime of happiness! 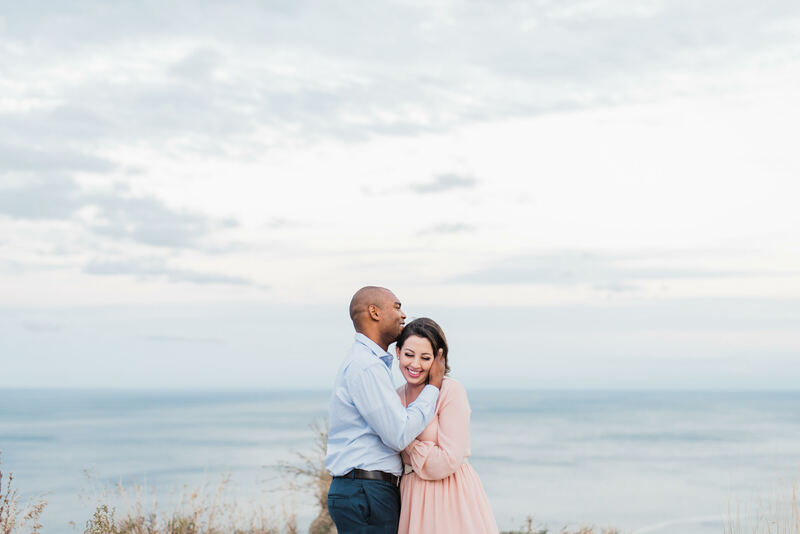 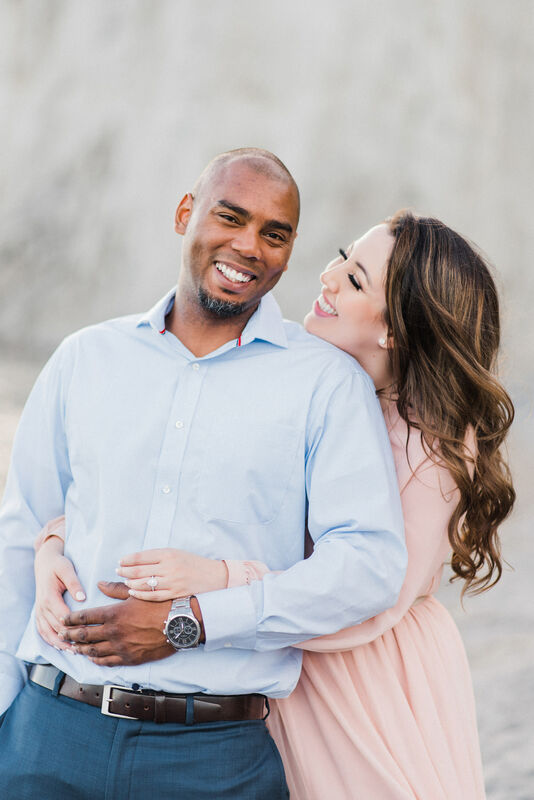 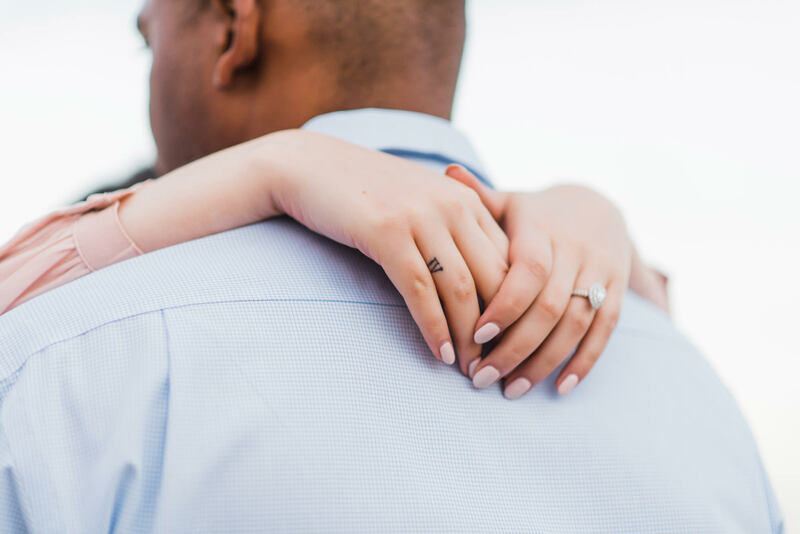 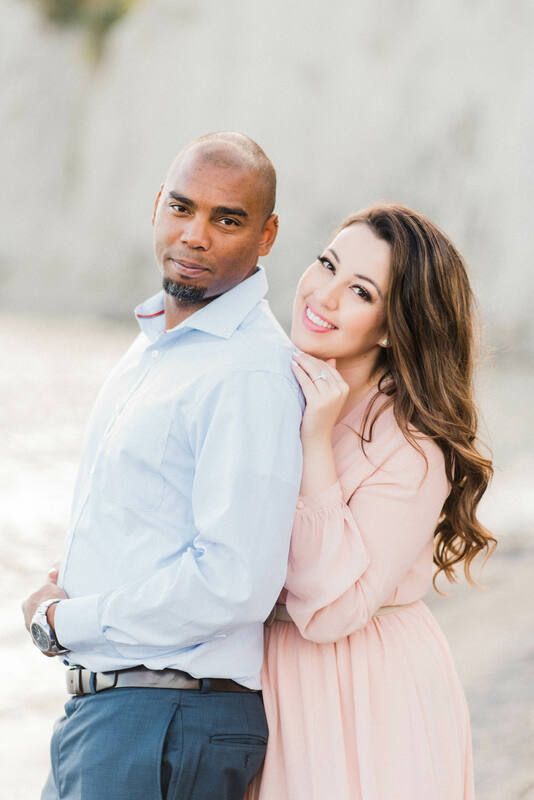 This engagement session was captured by my talented associate, Jessilynn Wong.